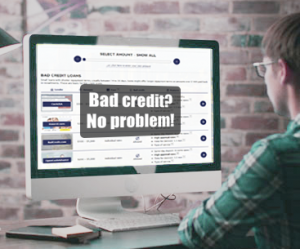 Having no credit or bad credit score can be a stumbling block when it comes to securing a personal or payday loan because lenders use your creditworthiness to decide on your approval. Therefore, it’s important to improve your credit score as much as you can so that your next consumer loan application will be approved. Plus, the better your credit score, the better rates and terms you’ll get. Personal Loans: There are many lenders out there who offer personal bad credit loans when you need a quick infusion of cash. These come with several benefits to you as the borrower. First, personal loans are installment loans. Even if you pay a higher interest rate, the rate should be fixed and the loan will be repaid over a set period of time. This gives you total transparency in how much your monthly payments will be and how long it will take for you to pay off the loan. Second, these loans are almost always reported to the credit bureaus. As long as you manage your payments on time each month, you can rebuild your credit score while still accessing the cash you need. You can find personal loans here. Short Installment Loans: A short-term installment loan is easier to secure than a personal loan and lasts for a shorter period of time. Usually your repayment term can range anywhere from 90 days up to three years. As with any type of bad credit loan, expect to pay a higher interest rate. The loan amount will likely be small, especially if the payment period is short. But many lenders offer a fast application process and funding time. If you need fast money for a financial emergency, a short installment loan could be a good option. Plus, they often consider factors beyond credit score, like your income and work history. See some alternatives here. Take the Home Equity Line Credit Route! If you own your home, you could potentially take advantage of rising property values by using a home equity line of credit. This type of revolving credit lets you access funds when you need them and then repay over a set period. As you repay, your line of credit is reset so you can borrow more if needed. HELOC rates are usually much lower than bad credit loans and credit cards so it’s worth looking into if you have home equity you can tap into. Credit Unions Offer Loans: The operation of credit unions is similar to banks; the difference, however, is that credit unions are owned by members who work in the same industry and are based in the same geographical location. Their sole purpose is to pass earnings to members in the form of shares derived from the loans they advance to members and non-members. Because they’re more localized, they sometimes have less stringent guidelines when it comes to personal loans, especially if you have a checking or savings account with them. Credit unions also sometimes offer credit builder loans, which helps you rebuild your credit with a secured loan. Loans from a Friend or Family Members: If you can’t secure a loan from a lender, perhaps a friend or a relative will help. However, ensure that you have a written agreement in place to minimize chances of conflict in the future. Document the rate of interest, agreed payment terms, collateral, and what will happen in case you fail to repay your loan. Look for a Co-signer: If you are still unable to secure a loan from a friend or a relative, you might consider looking for somebody with a good credit score you can co-sign a loan with. The person in question should know your situation well, have your full trust, and should be willing to risk for you. Remember, your co-signer will have to repay it in full if you fail to repay it. Plus, any late payments you make can hurt their credit score as well as your own. Use Payday loans as a Last Resort: Payday loans nearly always approve customers regardless of credit score. For this type of bad credit loan, you’ll receive a short-term advance, which is usually due back in two weeks. Rather than being charged an interest rate, you’ll be charged a flat fee around $15 for every $100 borrowed. This is actually quite expensive compared to most other bad credit loan options. Another downside is that your on-time payments aren’t reported to the credit bureaus so a payday loan doesn’t help build your credit. If you miss your payment deadline, you’ll likely be charged expensive renewal fees. 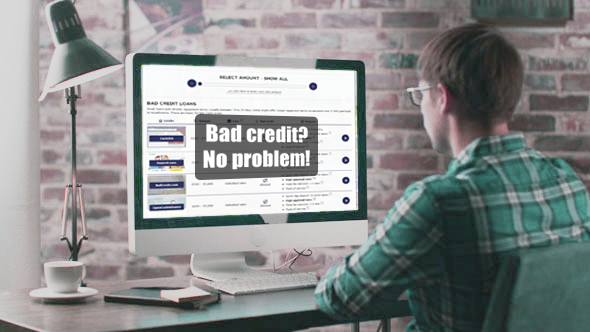 Poor credit doesn’t automatically mean you can’t get approved for a loan. These options can for bad credit loans can help you access the financing you need either during an emergency or as part of your long-term financial plan.